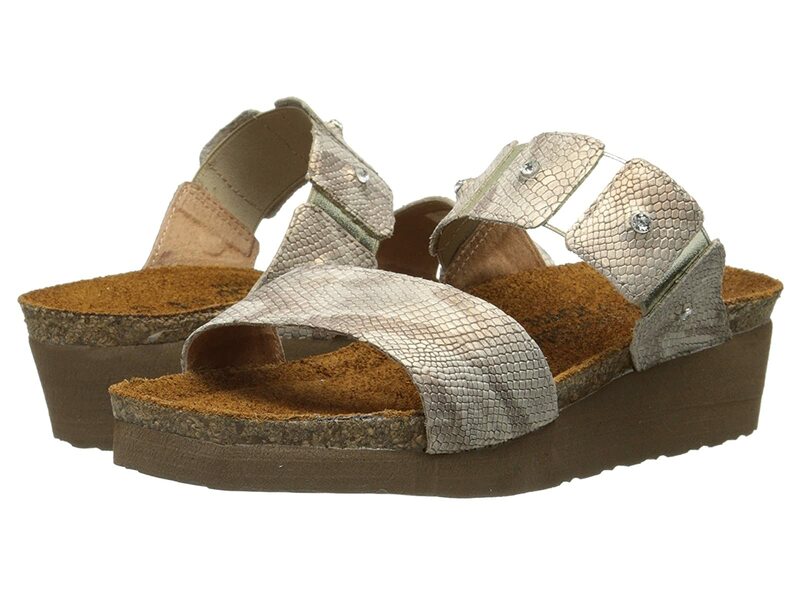 The Ashely sandal is from the Naot® Elegant Collection, which runs as a Narrow-to-Medium width. Discover the incredible combination of fashionable chic and superb design that distinguishes this exquisite sandal from Naot®.. Fashionable two-banded slide with block design and rhinestone accents. Vamp strap features elastic goring for custom fit. Insole adjusts to your feet like a footprint in the sand. This alignment improves within a short time so the feeling of comfort increases as time passes. Anatomical support distributes the weight of the body equally over the entire foot, massaging and releasing pressures caused by other parts of the body. Wide footbed allows the foot to rest and relax.